Parents agree to come to the field with a positive attitude. Parents must understand that once a game has started the umpire has complete authority over the game, its participants, and its spectators. 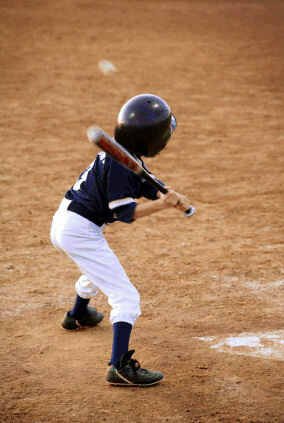 The umpire has the authority to ask an individual or group of individuals to leave playing field and surrounding area. Anyone asked to leave must do so immediately. Parents must show proper respect for games officials, participants and coaches from both teams, and other parents and fans. Parents should refrain from potentially high spirited conversations immediately before or after a game. Discussions like these should be held at a later time. Parents must respect all team and league rules. Parents must respect the decisions of umpires. At no time will the questioning of an umpire’s ruling be tolerated. Parents must always be honest, even when doing so results in situations unfavorable to their team. Parents must not show off, trash talk, taunt, or otherwise verbally abuse anyone. Parents must respect equipment and playing fields. Stealing or destroying anything will be grounds for dismissal from the league. Use of foul language and swearing is not allowed. Throwing of equipment (including, but not limited to, bats and helmets) is not allowed. Parents must remain off the playing field at all times. Disciplinary action will be addressed by the BBSA Board of Directors. Parents agree to abide by decisions of the BBSA Board. Tobacco, alcohol, and drug use are forbidden. Anyone who uses these substances at a game or attends a game under their influence will be asked to leave the playing field and surrounding areas. Parents must strive to be good role models and ensure that everyone adheres to principles of good sportsmanship and ethics.